The core elements of any counterdrone program are to quickly assess airspace activity, protect assets, and neutralize the threat. Before any action can be taken, airspace activity data must first be collected and analyzed. Airspace activity data is collected through detection hardware, such as RF sensors, cameras, microphones, and radar. This data is then fed into DroneTracker, which can then make decisions and provide more information on what’s happening in the airspace. How many drones are in my airspace? What time of day, or which days, are drones appearing? What kinds of drones are being used? How long was the drone in my airspace? What are the drone pilots targeting? New airspace analytics tools uncover patterns in drone activity in the airspace. Found on the reports page, the summary table displays the most important information about the timeframe analyzed. What areas need the most protection from drone threats? Drones provide a birds-eye view of a protected site, allowing the operator to locate vulnerabilities in security systems and exploit blind spots. 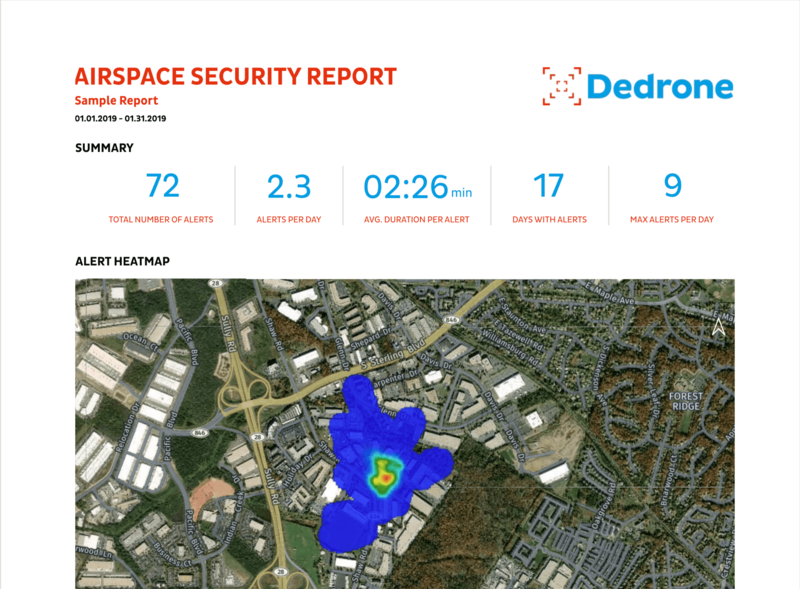 DroneTracker’s new alert heatmap gives a quick, visual overview of unauthorized drone activity in a broad area, and indicates locations of interest and hot spots. Whether it is contraband delivery, espionage or to disrupt operations, DroneTracker 4 provides a fine-grained analysis of drone activity by drone detection sensor and type and helps illustrate the threat at a given location. In the first chart, DroneTracker shows the most frequently flown drones by the manufacturer, whether they be consumer, commercial, or DIY. Drones have different capabilities, whether designed for distance, speed, payload or otherwise, and this data can provide additional context to the nature of the threats in the airspace. The alerts by sensor chart how drone alerts may affect certain areas of the facility, especially when there are certain sensors with larger percentages of detections than others. This chart is particularly helpful for installations with a larger footprint, or area to protect, which may be deploying several sensors over an area. How can we track the history of our drone activity? 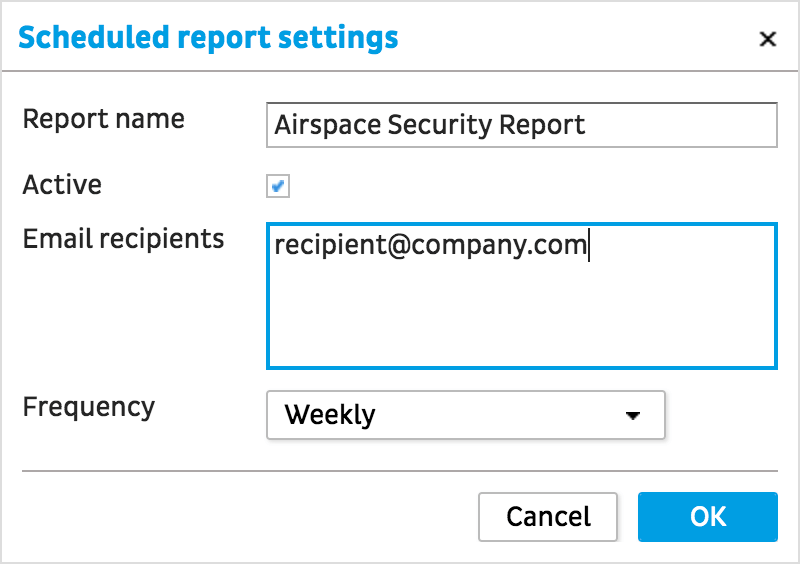 Scheduled reporting automatically updates stakeholders about airspace activity, pointing out alerts by the hour and day of the week, without requiring to log in to the software. Flight date and time data, when produced through DroneTracker, immediately makes any unusual activity or patterns visible to the user. DroneTracker users can create new security protocols to ensure proper defensive resources are available to intercept drones at the times when their property is most vulnerable. DroneTracker’s brand new hour and day chart gives a quick overview to see when there are high or unusual times of activity, as well as suggesting the average or baseline amount of activity that may be normal. Security providers can now identify clearly when there are unusual or concerning patterns on drone activity, for example, drones flying late at night or during key operational moments, such as when security staff switches their shifts. 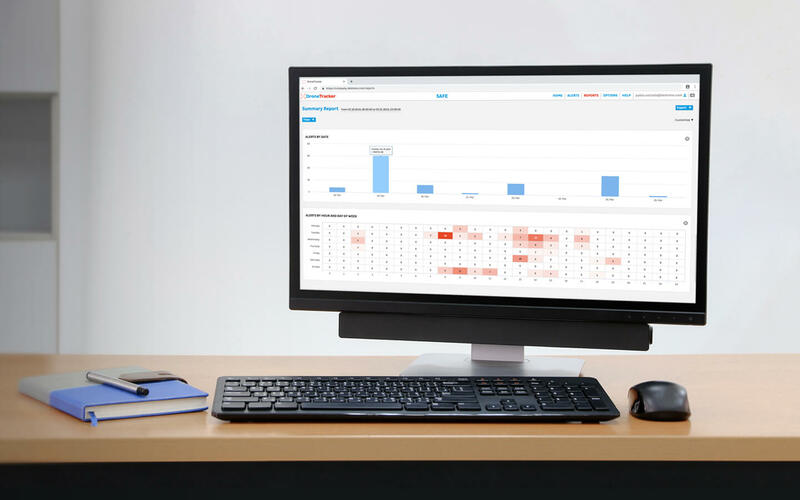 Together, these updates and advancements make the Dedrone solution the most detailed and actionable counterdrone platform for security professionals to understand drone activity and protect critical assets. DroneTracker 4 enables security providers to understand the specific nature of the airspace threat and prepare and respond accordingly. Contact our team to learn more about how to put your data into action with DroneTracker 4, here, and sign up for your spot in our first webinar on DroneTracker on 4/17 at 10 am PST, here.